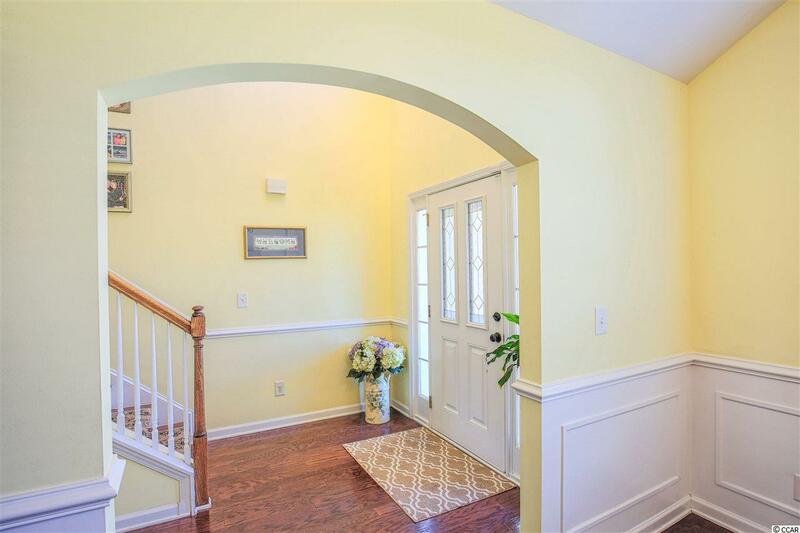 This beautiful 3 bedroom 2.5 bath home in the popular community of The Farm has been lovingly maintained. This elegant, hard-to-find Garrett model is located on a spacious fenced-in lot with sweeping water views. This is one of the most private pieces of property in The Farm, with a wooded preserve next to the lake! 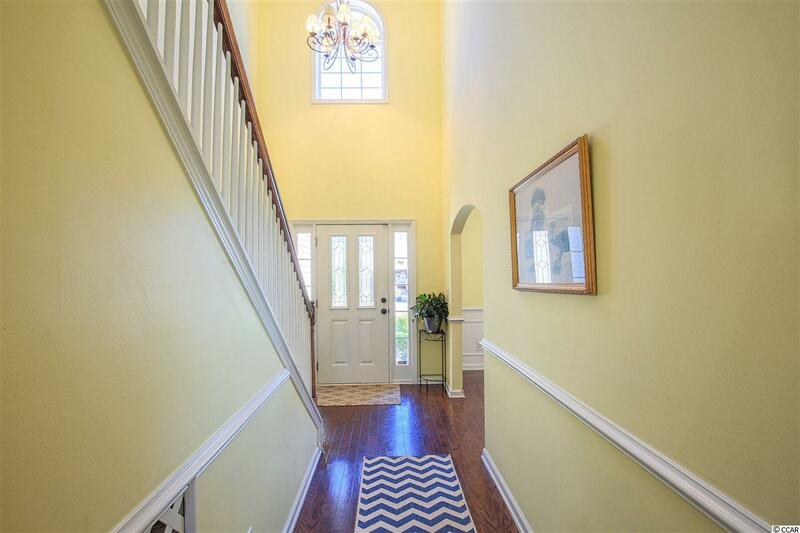 This home boasts gorgeous hardwood floors in the living areas and a desirable open floor plan. The family room is the heart of this home, featuring a vaulted ceiling and a remote-controlled fireplace to keep it warm and cozy in cooler months. The first floor large master suite is highlighted by a tray ceiling, walk-in closet, double sinks, jetted tub and a separate shower. The formal dining room is bright and open to the spacious kitchen, which features stainless steel appliances and a family-friendly breakfast bar and breakfast nook. The upstairs includes two spacious bedrooms, bathroom, and a loft area that can be an office or the homework area or just the hangout space. When you want to relax, you can just kick back in the screened-in porch overlooking the beautiful yard. You want storage space? Well this home has a walk in storage area which is located above the garage. For those garage projects, there is a custom workshop with cabinets. Additionally, all bedrooms include ceiling fans to help keep the air flowing year-round. You can't beat the amenities in The Farm, which include an 8,000 square foot pool with clubhouse, a smaller pool, fitness room, basketball courts, playground, and more. 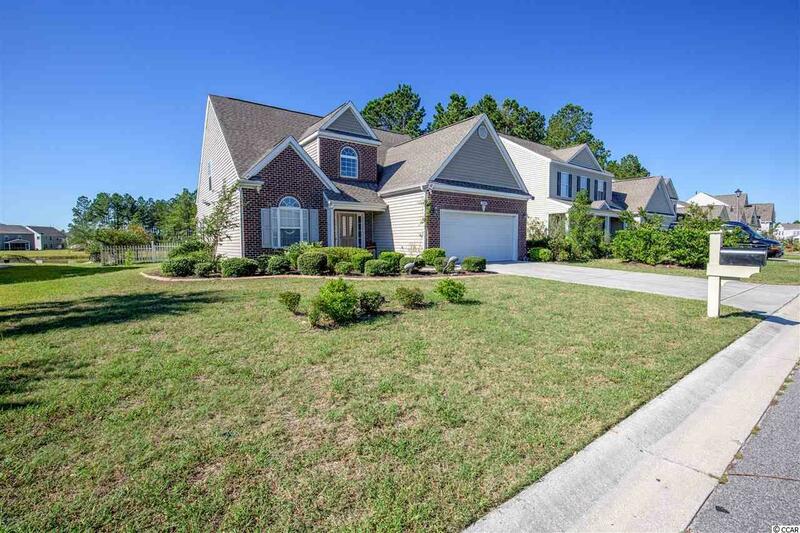 Convenient location just minutes from shopping, beach, dining, golf, Broadway at the Beach, Myrtle Beach International Airport, Highway 31, and the top-rated schools of Ocean Bay Elementary, Ocean Bay Middle, Carolina Forest High, and AAST (STEM high school). 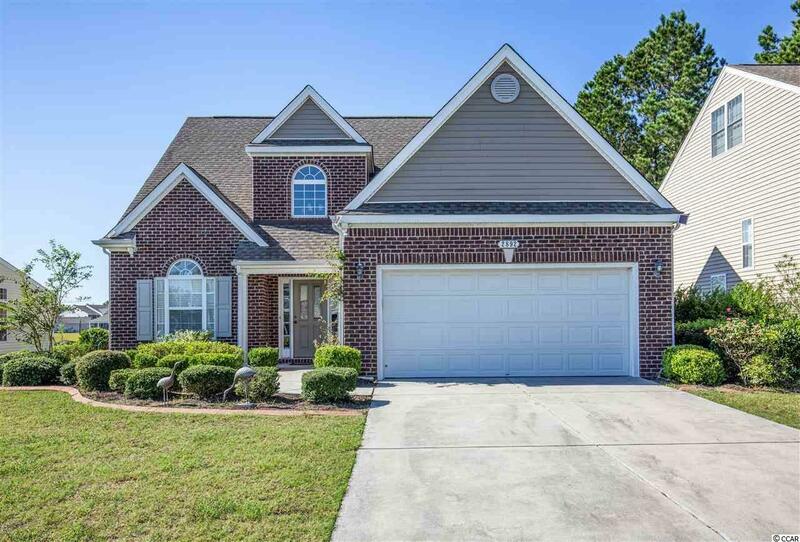 Don't miss the opportunity to live in this beautiful home in the highly desirable Carolina Forest area! All information is deemed reliable but not guaranteed. Buyer is responsible for verification. Kitchen Range Dishwasher Garbage Disposal Refrigerator Microwave Breakfast Bar Pantry Breakfast Nook Stainless Steel Apps.